Located in the district of Almora, Kausani is a lovely tourist spot that is also known as "Switzerland of India". 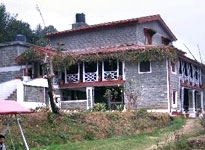 To escape the heat of plains Kausani is the perfect resort. The sunrise in Kausani forms the hallmark of this place, and equally famous are the Hotels in Kausani. The hotels are known for their excellent services and facilities that are distinct and exude warmth. Hotels in Kausani are located at convenient distances from the various spots of entertainment, communication and tourist attractions. There is no dearth of attractions in Kausani and the tourists are never going to have a dull moment. The charm of stay at the Kausani Hotels is also beyond description as the hotels are well equipped with all the necessary facilities and amenities that aim to satisfy all the needs of the guests in order to make their stay one of the most memorable and pleasant one. Kausani has always been a preferred tourist destination owing to the natural beauty of the place as well as its close proximity to other tourist destinations which can also be easily be reached from here. 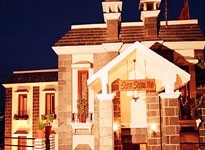 Hotels in Kausani have easy access to the nearest airport in Pant Nagar and railway station which is at Kathgodam which is 35 km away from Kausani. One can easily reach the other important destinations of north India such as Delhi, Nainital, Almora and Ranikhet. Kausani Hotels are celebrated for some of the most comfortable rooms and excellent facilities that are simply unrivaled by any of the other Hotels in Uttaranchal. The spacious rooms offer a neat and clean ambiance for the guests that form the salient feature of the hotels. Sightseeing and recreational facilities are also provided by the hotel. Amongst the tourist attractions, there are a lot of places to visit in Kausani that include The Pant Museum, Anashakti Yoga Ashram, Lakshmi Ashram, and The Shiva temple among others. 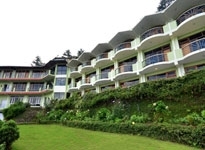 Hotels in Kausani are adequately equipped to enhance the pleasure and joy of a tourist's vacation in Kausani. The hotels have in-house restaurants that prepare the most lip smacking dishes that meets the expectations of even the food connoisseurs. The atmosphere inside the restaurant is simply amazing and a good one to unwind after the day's sightseeing or a tiring busy business meeting.